Baldwin Prestige Series Madrina levers offer the quality that you would expect from Baldwin, nice and solid construction and an affordable price. The Madrina Style lever handle is a beautifully sculpted lever handle desighn and the arched rosette style is sure to stand out. Baldwin venetian bronze finish is beautiful and timeless. Baldwin Prestige series door hardware is easy to install with a standardized adjustable latch and fits the standard door thickness you find in most homes. You can also order coordinating Baldwin Prestige handlesets, deadbolts and lever handles so that the door hardware in your entire home coordinates and is keyed alike. 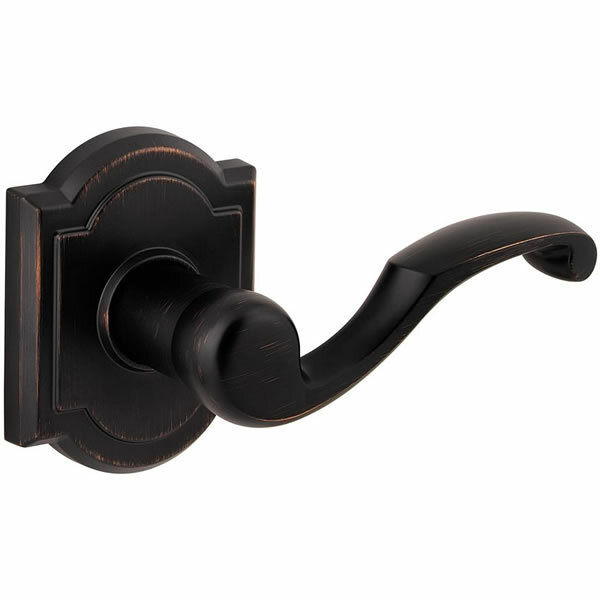 The Baldwin Madrina lever handle uses a turn button lock on its privacy and keyed entry functions. To lock or unlock, simply turn the button located in the center of the knob. When you exit the room, you must turn the button to the unlocked position. 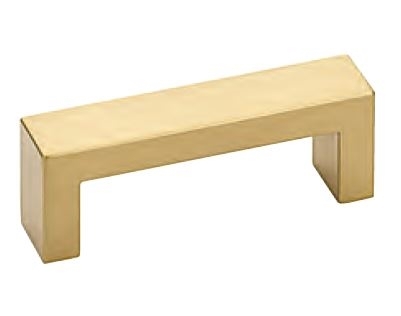 - Madrina lever handles are available in venetian bronze finish. - Solid lever construction you expect from the Baldwin brand. - Fits doors of standard door thickness 1 3/8" to 1 3/4" thick. - Adjustable backset fits both 2 3/8" - 2 3/4"
- Quality lever handle chassis has powerpack conmpression springs for operational strength and smooth action. - Baldwin Madrina lever handles are available in 4 functions: Keyed entry, privacy, passage and single surface mounted dummy. - Baldwin Smartkey comes standard in prestige series door locks. Baldwin's Smart Key System allows you to easily key your new hardware to existing door locks. It also provides added drill resistance, bump guard protection and super pick resistance. 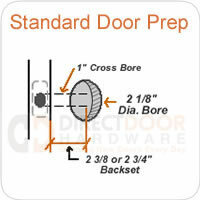 Baldwin Prestige privacy, passage and keyed entry installation instructions. Baldwin Prestige dummy function installation instructions. Passage lever sets to not lock. They are generally used for hall or closet doors where a lock is not required. 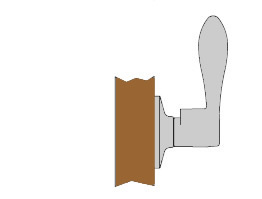 Sometimes passage levers are used along with a deadbolt for a locking door. In the Box - A lever for both sides of the door, adjustable backset latch mechanism, strike plate, face plate and mounting screws. Privacy lever handles are generally used on bedrooms and bathrooms. 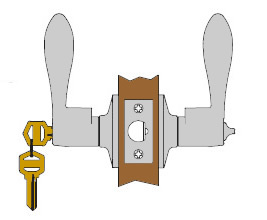 Privacy levers lock, but it is not a keyed security lock. Baldwin Prestige Series privacy levers can be locked from the inside with a turn button in the lever. Can be unlocked from the outside with a generic unlocking tool. In the Box - Levers for both sides of the door, adjustable backset deadlatch, keys, strike plate, faceplate and mounting screws. Dummy lever handles are just one single lever that mounts to a door with wood screws. If your door has a bore hole already in it, you cannot use the dummy lever. Dummy levers are the perfect solution for ball catch doors or other applications where a latch is not needed, but the look of a lever handle is desired. 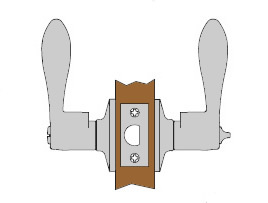 Dummy levers with a curved shape are normally handed - right or left. In the Box - A single non-functioning lever and mounting screws. I am looking for a front wrought iron gate lever handle and locking double cylinder deadbolt to replace an existing round handle and double cylinder deadbolt. My round handle is double sided for passage. Would it be correct to order the passage handle and double deadbolt from the Prestige collection? I don't see sets. Thank you.